Our goal is to ensure that your child gets the best quality care. 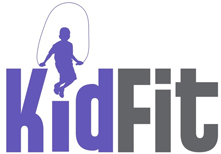 KIDFIT! CONTACT US FOR DETAILS! Harlingen Pediatrics Associates (HPA) is dedicated to restore, preserve, and enhance good health in the children and families of our community. HPA and its professional staff participate in teaching programs for medical students, and some day for pediatric residents. Try these great activities to keep your child entertained.